Articulate is calling for proposals for projects and exhibitions for our 2019-20 programs. 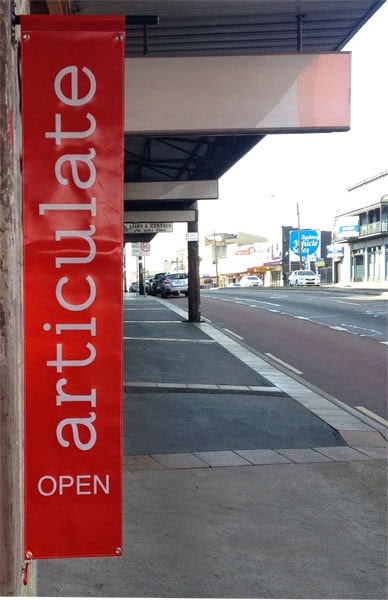 Articulate is an artist-run initiative formed in 2010 to support experimental contemporary art that emphasises installation, performance and related spatial practices. • for one-off or a program of events such as film screenings or discussion events, etc. Because the two spaces are not clearly separated, we ask artists working in both spaces to consult with each other in advance. More information is available—including space measurements and rental fees. If you would like your project to be part of Articulate's 2019 program, please send your proposal by with an indication of which of the two spaces and time slots suits your purpose best. Please send a few preferences for timing - the current 2019 program dates are below, and 2020 will be similar We will get back to you as soon as possible. Please re-contact us if you do not hear back soon enough. NB dates indicate 24 hr access - normal opening hours are 11am-5pm Friday - Sunday. These dates are current at 20.3.19.